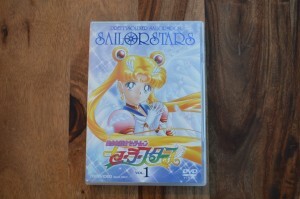 We were promised Sailor Stars in the Spring and Viz Media delivered with less than a week to spare! 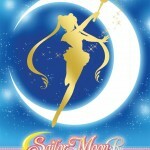 June 18th, a whole 3 days before the first day of summer, Sailor Moon Sailor Stars volume 1 will be released DVD and Blu-Ray! This will include episodes 167 to 183 which will be available with English dialogue for the first time ever! Sailor Stars was never released along with the original dub and now that we’ve gotten all of the movies and specials with Viz’s new Sailor Moon dub, Sailor Stars is the only thing left! 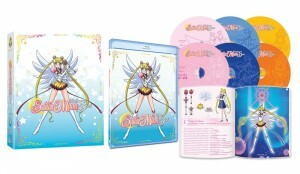 The set is available to pre-order from RightStuf. This will include a special collectible coin, as has been the case with releases in the past. 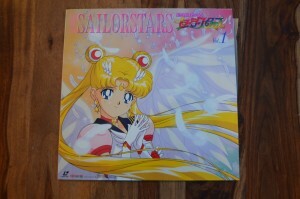 RightStuf is doing a very bizarre thing and naming it “Sailor Moon StarS” in their item description. I had never seen this term before but it was mentioned by @fredjfrancis on Twitter that this was the naming convention previously used by Tokypop with their original release of the manga. Having originally read the manga in French I had no need for Tokyopop’s release so this wasn’t something I’d ever noticed. I can only imagine that this is meant to match somewhat with how SuperS was written for the previous season, but this StarS naming convention is not one based on anything done in Japan. 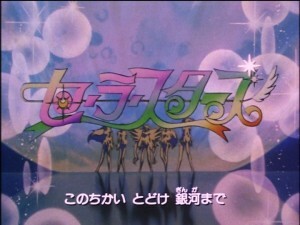 Sailor Moon S is pronounced as “Sailor Moon Super” when spoken during the commercial bumpers. Sailor Moon SuperS is pronounced as “Sailor Moon Supers” (Su-pa-su) when pronounced, though in my brain I always read it as “Super Ess”. The last S in Stars, however, is never capitalized in any Japanese sources. 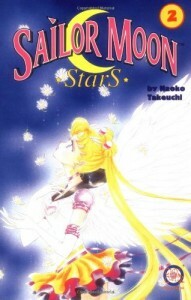 This started with Tokyopop’s manga release but in this case the final three volumes, rebranded as Stars 1, 2 and 3, did not have those titles in Japan. 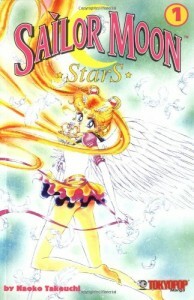 The manga compilations were simply volumes 16, 17 and 18, as no separate titles were ever used for the manga covers. 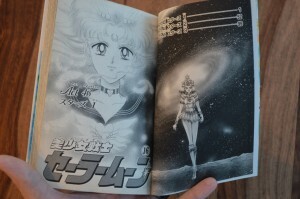 Individual chapters were titled Stars 1, 2 and so forth, following with the naming conventions from the Infinity and Dream arcs, these are written in Japanese Katakana characters and not in English, as we saw with SuperS in the anime. 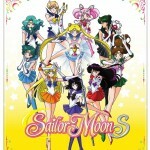 The Anime series was not even called Sailor Moon Stars. It was called Sailor Moon Sailor Stars. There are different ways to write this out! 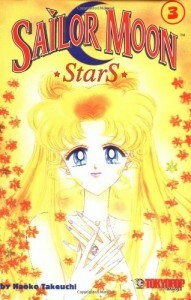 In Japan the series is generally written as one word “Sailormoon”. 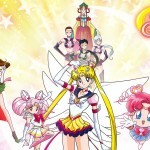 This fifth season title was usually written in Katakana but when it was written in English it was usually spelled as “Sailormoon Sailorstars”. No specific emphasis on the final S was ever made as can be seen from the laserdisc and DVD box art. I tend to spell it “Sailor Moon Sailor Stars” on this site as all four of those are separate words in English. 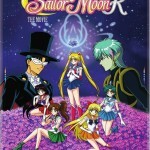 Viz is doing the same, although the word “Sailor” is written in a much smaller font size than “Stars”, as was the case with graphics used for the sub on Hulu, which may lead to some confusion. 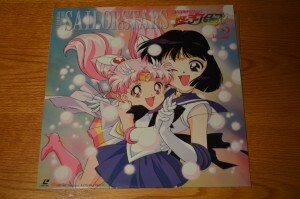 Calling it “StarS” is an odd and awkward choice on RightStuf’s part which seems to be a mistake. Perhaps this will be corrected in time! 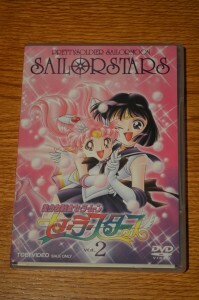 Regardless, I’m looking forward to finally watching Sailor Stars in English. Do you plan on picking this one up? This entry was posted in Merchandise, Sailor Moon Anime (1992), Sailor Moon Manga and tagged Right Stuf, Sailor Moon Sailor Stars, Tokyopop, Viz English Dub by Adam. Bookmark the permalink. YES! Finally! So excited! My second favourite season…Can’t wait! Finally! I’ll probably get mine through Amazon; that’s just where I bought all my other sets (typically for the same proce or cheeper). I was kind of hoping they’d announce who the new cast members were along with the release date, but I guess we’ll find out on June 18 (happy birthday to me, that’s just three days after my b-day)! I’ll ask my library to order it today, if they haven’t placed an order for it already. I wonder when they’ll announce the new voice actresses. Gotta love that LD boxart! 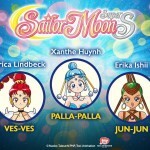 It’s great that we’re finally getting Sailor Stars(S?)! Going to pick up the previous BRDs soon. How is the quality of the dub? Is it just on par with most current anime releases or is it better? Personally, I adored the original american dub! I know Molly sounds a little silly, but there was a lot of heart to it. And many of those actors, like Jupiter, had been in the business for years so it always felt high quality to me. Finally! This season was so short it could have been one set, but I’m buying it regardless. It only took me being a fan for 20 years to see it in English. Now if we can just get info on the Dream Arc in Crystal! I really hope so as well. Why would they invite Chibi Usa’s voice actress of itvis not for Dream. If they leave is on a info diet again, I think nobody is going to stay on this train. They’re going to try to scrap the idea of making the Sailor Moon Crystal Dream Arc movie, and are just going to make them into episodes instead. That’s just my guess though. Because I don’t think it should take THIS long to make a “movie”. They’re probably predicting that it’s not going to be a success, and that many fans would prefer tv episodes instead. I sure hope so. The idea of a movie was just random. I’d be okay with that. While seeing a Sailor Moon movie done with high production values would be nice, I would maybe rather have an original story like the ones in the 90’s than a manga adaptation. This has taken far too long to be reasonable. With what original bits Crystal came up with, I don’t think they can pull off anything original. Sorry. What I meant was they’re going to be probably working on Sailor Moon Crystal EPISODES vs the movie. But that’s just my guess. is this for real! REALLY…real. oh, the years of waiting are finally over! YEA!!!!!!!!! I hope for tv show as well. O know it is very unlikely, but my main reason is accessibility. A movie is nice, but it has been 3 years already. I don’t want to wait until they release till let’s say next year and then another year until it is on home media and can be watched outside Japan. No quality can justify 5 years wait and Toei movies are not exactly superb either. I’m so torn about this. I’m a huge fan of Seiya, and I love the Three Lights songs, so I don’t know how it will feel to hear everything in different voices. But on the other hand, I’m so curious and this has been such a long time coming!